''Decisions taken and recommendations given by the STAC can have very important consequences for the project.'' 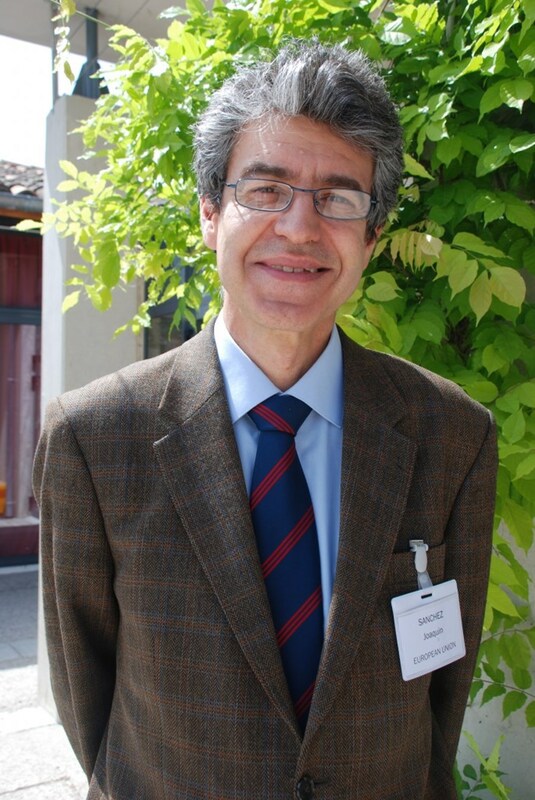 Joaquin Sanchez, the new chairman of the project's Science and Technology Advisory Committee. Back in 1986 when Joaquin Sánchez moved to Germany to the Institute for Plasmaphysics (IPP) in Garching/Munich—host to one of the three Joint Work Sites for ITER—the international effort to develop fusion energy "as an inexhaustible source of energy for the benefit of mankind" had just been launched, but the cold war was still tangible. "Some scientists from Russia and I moved into the guest house provided on the IPP campus and we stared curiously at one other," Sánchez recalls. Some 25 years later the iron curtain has dissipated and Joaquin Sánchez finds himself in the very epicentre of this international endeavour called ITER, sharing the conference table with representatives not only from Russia, but all seven ITER Members. And that makes 34 nations in total. Having been appointed chairman of the project's Science and Technology Advisory Committee (STAC), it is his responsibility to steer the team of experts that evaluates the technical issues of the project and that finally proposes solutions to the ITER Council. Sánchez is aware that he is manoeuvring in a highly political environment. "Decisions taken and recommendations given by the STAC can have very important consequences for the project," he says, "and that is why we always have to keep in mind that the best technical solution is not always possible to realize due to the project's budget and schedule constraints. If we propose solutions that are unacceptable to the funding authorities we put the whole project at risk." The Madrilenian with a PhD in plasma diagnostics has been director of the Fusion Department at the Spanish research institute CIEMAT since 2004, following a career in fusion that took him around the world. After early work on the Spanish tokamak TJ-1, he moved to Germany to continue his research on the now decommissioned W7-AS Stellarator. Back in Madrid, Sánchez took over responsibility on the diagnostics systems of the TJ-IU and TJ-II Stellarators, while taking part in collaborative projects with the Oak Ridge National Laboratory, the Princeton Plasma Physics Laboratory, National Institute for Fusion Science in Japan, and the Massachusetts Institute of Technology. He was task force leader at JET from 2000-2003. In June last year he was appointed chairman of the Technical Advisory Panel within Fusion for Energy, the European Domestic Agency for ITER. Asked about his belief in fusion energy, Joaquin Sánchez replies with decisiveness. "It is true that fusion is a transgenerational project. It won't happen tomorrow. What will be left after all the oil and gas have gone? It is our responsibility to look into this option, an option whose price tag is the equivalent of mankind's consumption of energy ... in one day."